Clubs offer social and competitive games, for novice and experienced players. Busy schedule? Online Clubs host social game and tournaments that award ACBL masterpoints. Play from anywhere, anytime. 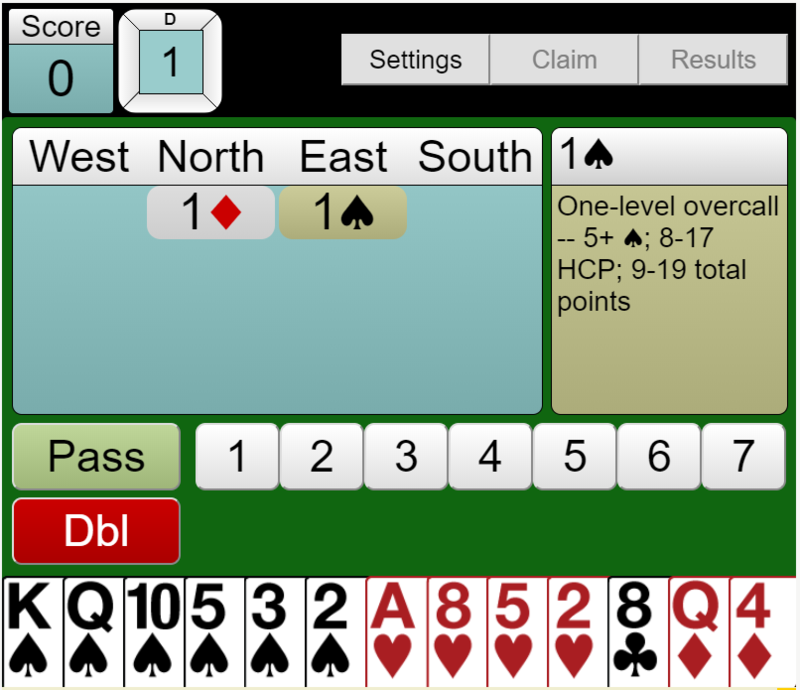 This is a no-frills, infinite stream of bridge hands, scored Total Points style. As South, you are guaranteed to have the most high-card points of all four hands. 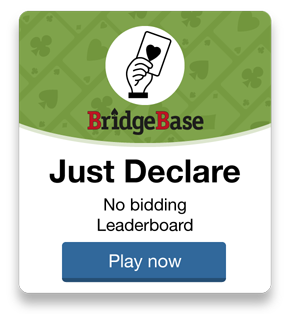 Bid and play as many hands as you like, at your own pace! 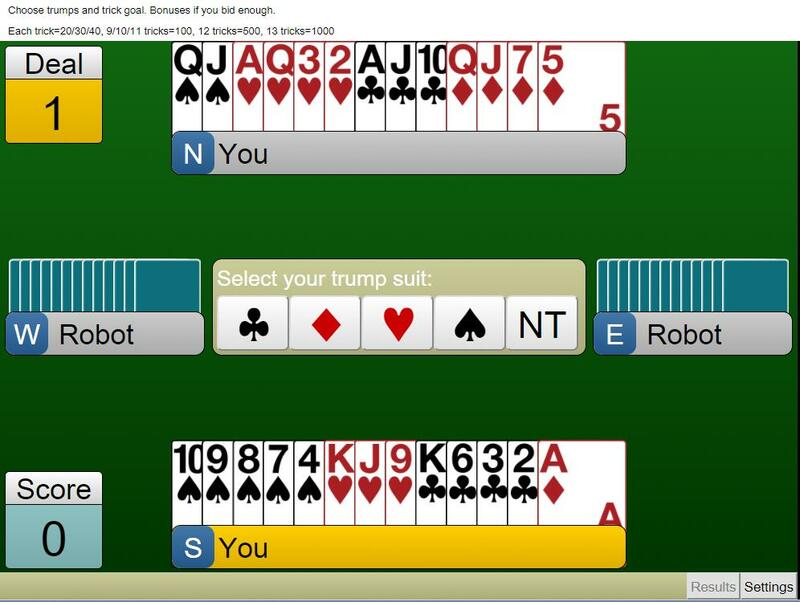 Select the trump suit, predict the number of tricks you can take and practice playing the hand. From BBO‘s Learn and Play bridge. Need more play practice? This game sets a contract and invites you to play it. No bidding required, and you are always the declarer. From BBO‘s Learn and Play bridge. 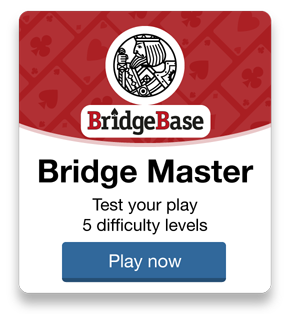 Bridge Master is a series of instructional deals designed to improve your declarer play. These carefully constructed exercises are designed to illustrate important declarer techniques; if you take the correct line of play, you make the contract. Otherwise, the program will defeat it. A “Show solution” button is available to explain the correct line of play.